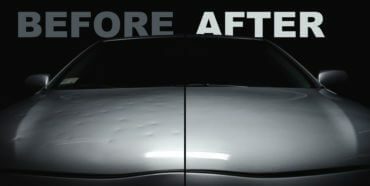 The auto body repair pros at Auto Color will make your hail damage disappear as if it never happened. We specialize in the spot repairs traditional auto body repair shops avoid in the Middleton WI and Madison WI areas. Remember, YOU as the car owner can select any auto body repair shop YOU choose to repair your car hail damage. At Auto Color, we have worked with ALL major auto insurers and will get your repairs get done right, in a timely way, with no insurance hassles. Paintless dent repair protects your car’s original finish. It is the least invasive method of repairing dents possible and protect the integrity of the finish. If the finish itself is not damaged, Auto Color’s paintless dent repair specialists can remove dents, making your car look great. 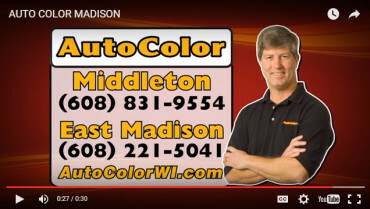 Auto Color has the best spot repair professionals to restore your car in Midleton or Madison WI. 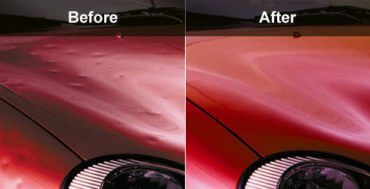 Auto Color will help your car look like new using a wide array of auto body repair techniques including paintless dent repair. We pride ourselves on providing the most appropriate repairs of any auto body repair shop in Middleton WI and Madison WI. We repair Scuffed Paint, Plastic Bumpers, Restores Headlight for life and provide professional quality detailing. My daughter went to three other body shops to get estimate. The lowest one was $680. When we took the car to Auto Color, they told us that they could fix the damage for $350. Yesterday, we picked up the car. The body looks as good as new. Unbelievable! Saved a bunch of money with Auto Color compared to dealer’s shops. My wife Marge and I have dealt with Auto Color for 5 or 6 years. We have saved about 3700 dollars over these years by not going to Russ Darrow, Don Miller, or Stark Toyota. Although Toyota hands out cookies and Miller has hot chocolate, we prefer the crisp bills in our pockets! Thanks for the excellent work and the savings. Jules and Marge. Great customer service and excellent work! Auto Color Inc. is fantastic and do quality work. They’ve worked on everything from sedans to boats, my RV, Porsche, and my race car as well. It has been a long time since I’ve been using Auto Color Inc, about eight to ten years. I like the quality of work they do and their attention to detail. They’re just friendly, helpful, and honest. I’d recommend people to get their cars fixed at Auto Color! I recently purchased an 06 Lexus RX4000 that was in terrible condition. Dents (major and minor), scratches, scrapes were present on every panel except the hood. I shopped around for quotes and Autocolor was the only company that could take on and address the larger dents (12″+). It was a major job – 7 business days in the shop. When I picked up the vehicle, it was hardly recognizable. All damage was essentially invisible and the ‘scratch reduction, touch-up, polish, and wax’ made the car look literally brand new. Andy is great with customer service – ask for him if you go in for a quote.